WAREHAM, Mass. 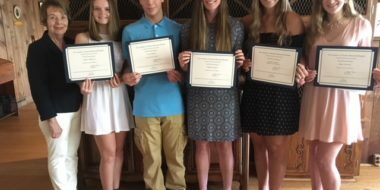 – The Tobey Hospital Guild recently announced $3,000 in scholarship awards for individuals who are pursuing a career in healthcare. 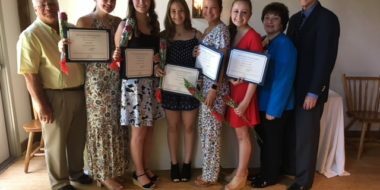 The Guild presented three $1,000 scholarship awards to area high school seniors during its annual Scholarship Luncheon held May 28 at Bay Pointe Country Club in Buzzards Bay. 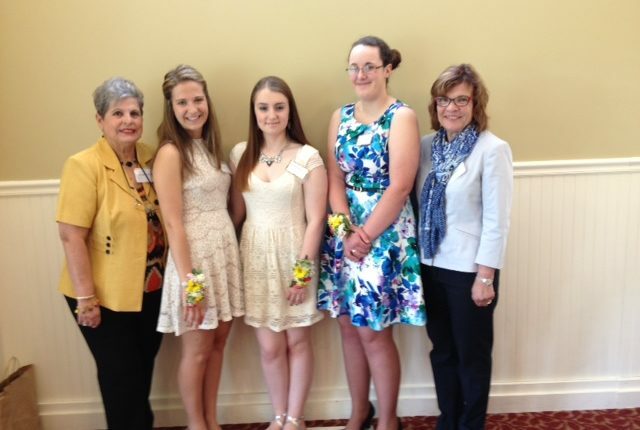 The awards were presented by Josephine Praino, Scholarship Chair for the Tobey Hospital Guild, and Joan M. Martin, President of the Tobey Hospital Guild. Shawna Antonellis, a graduate of Bourne High School, will attend Emmanuel College to pursue a career as a physician’s assistant in oncology. Shawna received the Leonard Martone Scholarship, which was awarded in his memory by his wife, Betty. Heather Nadeau, a graduate of Old Rochester Regional High School, will attend Worcester State University to pursue a career as an occupational therapist. 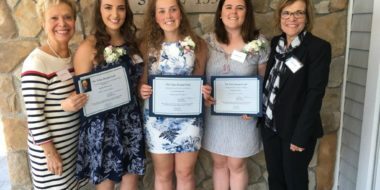 Samantha Rayner, a graduate of Old Colony Regional Vocational Technical High School, will attend Massachusetts College of Pharmacy and Health Sciences with a focus on physical therapy. The Tobey Hospital Guild is a non-profit organization whose purpose is to render service to Tobey Hospital, its tax-exempt subsidiaries, its patients and to assist in promoting the health and welfare of the community. The Guild raises money throughout the year by hosting various fund raisers, and also runs the hospital gift shop with all proceeds going to Tobey Hospital.